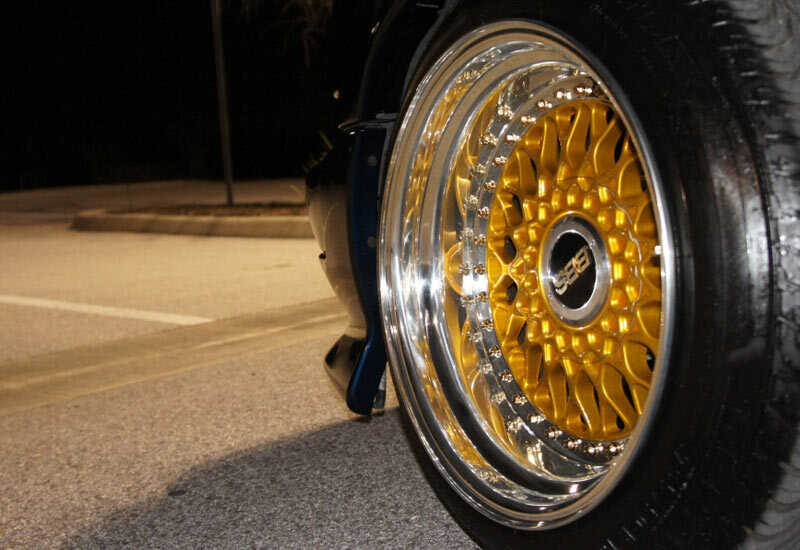 The AME Windmuhle are Old School JDM Wheels that resemble a turbine. The AME Windmuhle, which are higher end version of the Enkei EK90 JDM Wheels, fearure a lightweight one piece construction with covered lug nuts behind a center cap. AME Wheels used feature higher end Enkei Wheels, but are now produced elsewhere. Pictured are the AME Windmuhle mounted on an EA series Honda Civic, and in the background sits a 70s Chevrolet Camaro. OZ Wheels (OZ Racing) including the, OZ Fittipaldi & OZ Vega, were very popular Wheels back in the 80’s and 90’s. 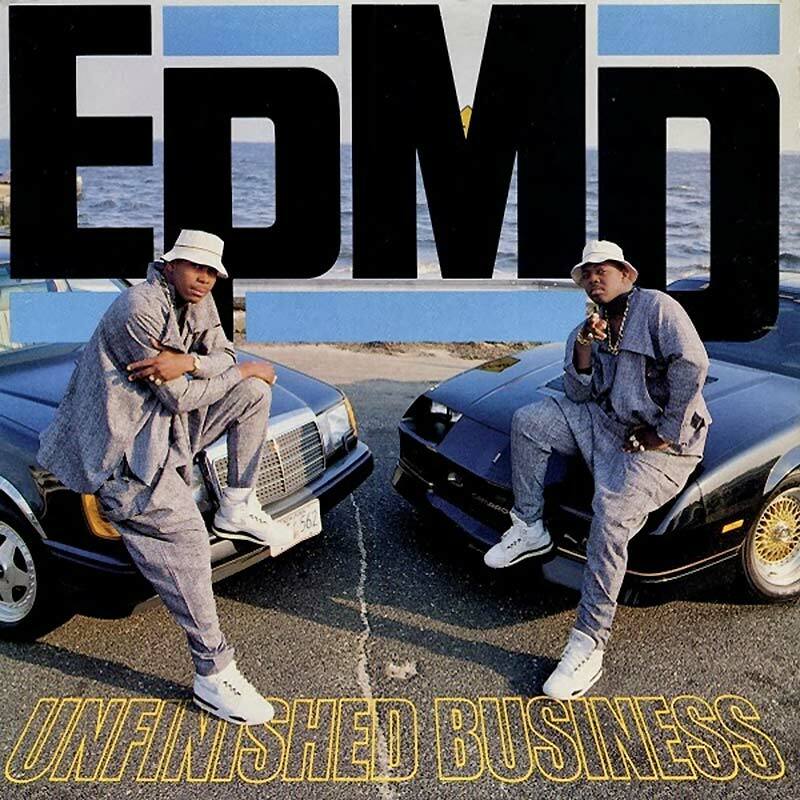 In 1989 rap duo EPMD made the rap album “Unfinished Business” and adorned us with a classic album cover with both OZ Racing Wheels. On the left, we have rapper Parrish Smith sitting on the hood of a W124 series Mercedes Benz 300E sitting on OZ Fittipaldi (cousin to the OZ Futura). On the right we have rapper Erick Sermon sitting on the hood of a Chevrolet Camaro IROC-Z sitting on a set of OZ Vega. 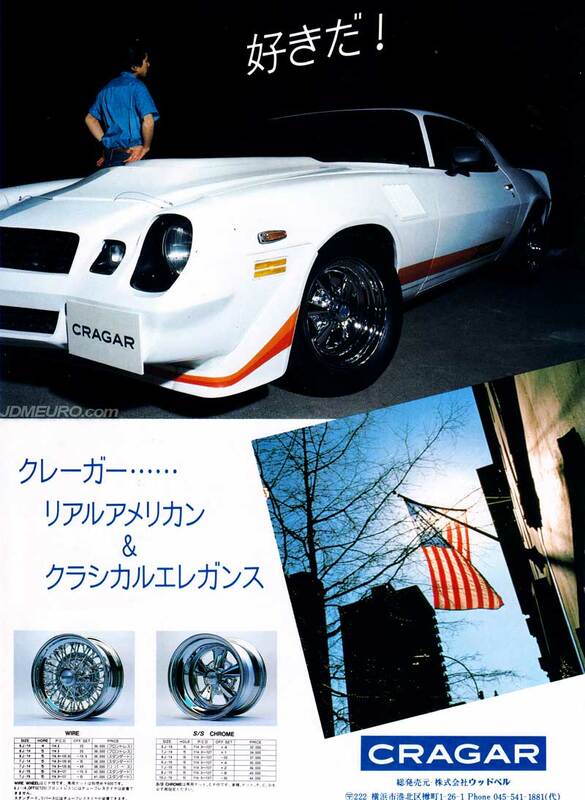 The Cragar SS Chrome Wheels are JDM Wheels geared towards American Cars. 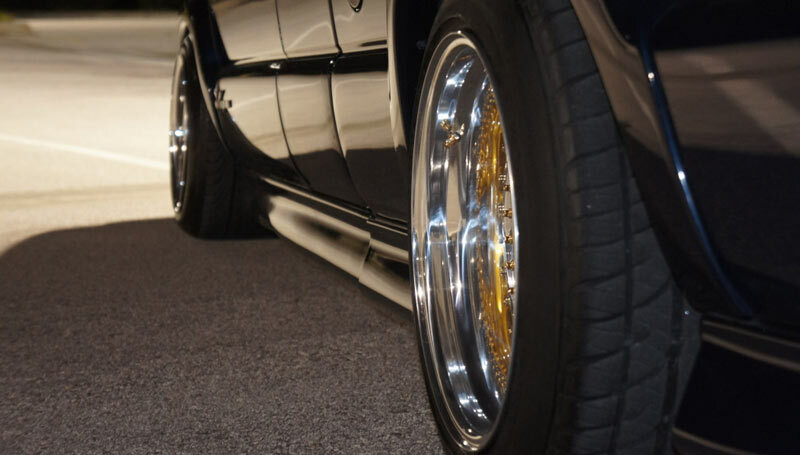 The Cragar SS Chrome feature a 5 spoke design with exposed lug nuts. The Cragar SS Chrome are one piece wheels with a chrome finish as the name implies. The Cragar Wire feature Multi Piece construction; consisting of a center piece, outer barrel and a series of spokes. Pictured are the Cragar SS Chrome on an older Chevrolet Camaro.